*Note: this is a premium feature for school and district administrators. The custom reporting feature lets you view a comparative analysis of benchmark and formative assessments that can be filtered by various demographic groups, teachers, students, standards, etc. You can then track performance of those groups or build custom reports around student performance. Click on Admin, then click on Reporting and select Custom Reports. Click on Add Report. Enter a Name and Description for your report and click on Continue. 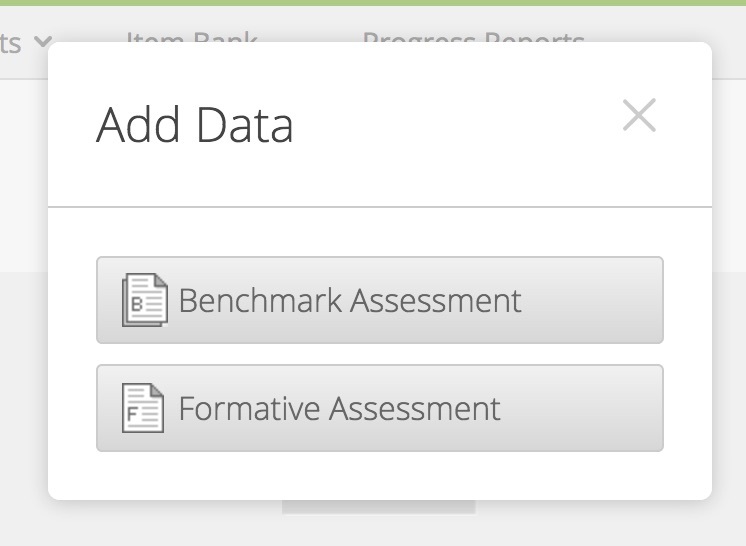 Click on Add Data, then select either Benchmark Assessment or Formative Assessment to create the report for that assessment data. Find the assessment you want to use and click on More Options button and then select Add to Report. In order for the assessment to pull and show data, it needs to be private to the school/district that is creating the report. If you find that it is not pulling all the data, or you cannot find the assessment from the list, make sure the creator has made it private to the school or district. If they have not, they will need to edit the privacy settings. Once you've added an assessment, hover over the gray menu button for that assessment to customize the data you want to see in your report. Select Filter to start filtering assessment data. Click in each box to select the data you want to filter and show in the report. When you're finished, click on Save to save the changes. 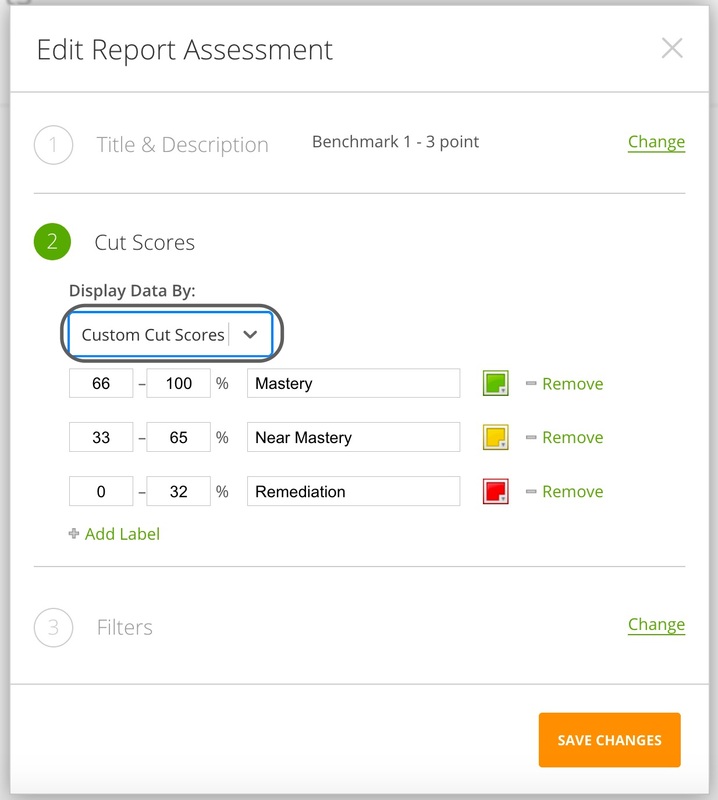 You can also click on Edit Cut Scores to create a report with custom cut score labels. When you add these, they will display in your report, but will not change the actual scores from trackers. Use this when you've filtered a specific group of students and want to group them in different proficiency levels than the actual scores. Click to Add or Remove levels and enter the cut score ranges. Click on Save to save your changes. Change the drop down menu back to Mastery Levels to return the graph to the original scored proficiency levels.